Some ultrabook models will be available for as little as $699 by this summer, and as many as 75 new ultrabook models will be hitting store shelves soon, according to Intel. Intel literally wrote the standards for ultrabooks, and they put their money where their mouth is. The chip-maker has invested $300 million into helping computer manufacturers develop ultrabooks. Intel plans to spend hundreds of millions more on promoting ultrabooks on TV, radio, and online, said the company. We have not talked much about ultrabooks here on CP yet, mostly because they’re just starting to hit the marketplace in a major way. When they do hit it, they may go big time in a hurry. In the same way that tablets have become popular, ultrabooks may go from something no one has heard of, to a got-to-have device, in very short order. Ultrabooks are basically super-thin, lightweight, fast booting, laptops. Some will feature touchscreens and do double duty as a tablet. “I think we can deliver the best of a tablet, and the best in what (users) know in a notebook,” said Intel’s general manager for PC client group, Kirk Skaugen, yesterday. Only devices that receive approval from Intel will called an ultrabook. “Intel plans to ensure ultrabooks have a consistent experience. And if it’s too thick it won’t be called an ultrabook. 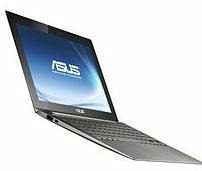 It won’t be allowed to be called an ultrabook because ultrabook is a trademark of Intel and we can protect the trademark,” said Skaugen. No doubt, ultrabook manufacturers would like to get their new devices out by the start of the back-to-school shopping season. But for the ultrabooks that include touchscreens, Windows 8 will be the optimal OS. Rumors suggest that Windows 8 might launch sometime in October of this year. So while Intel says a number of new ultrabooks will launch this summer, it will be at least this fall before we get a chance to play with the touchscreen models.